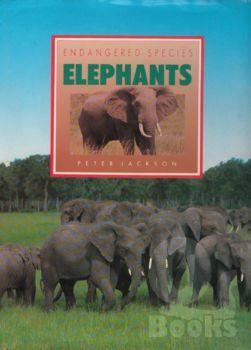 Children's Elephant Books Are Listed On Page 3. Author/photographer Boyd Norton documents the plight of the African elephant--whose population has been cut in half over the past decade--as well as the natural history and grandeur of this endangered creature. Norton's very personal account reveals the driving forces behind the increased slaughter of elephants and includes interviews with people working to save the animals. 90 color photographs. 127 pgs. This beautifully designed and photographed book will open your eyes to the magnificence and fragile destiny of the elephants of Sri Lanka. See them: Involved in human activities: for ten nights, just at dusk, drummers, horn blowers, dancers, fire walkers and whip crackers accompany elaborately adorned elephants in procession from the temple. In the wild: peering into the dense scrub, we could just make outtheir grey bulk. Within seconds, and in absolute silence, they vanished. 179 pgs. Capture, training, myth & truth, future, show elephant, working elephant. A study of the elephants of East Africa. Either the elephant population must be kept stable through a planned slaughter by those most concerned with their survival, or the native Africans must be evicted from their homes and farms to allow the herds to expand. Mr. Douglas-Hamilton wanted to find the most acceptable solution. His task was to observe the elephants in their natural habitat. He was succesful and provided valuable information to ethologists and zoologists worldwide. Color photos. 284 pgs. Discusses the elephant in folklore & history - in the circus, comics, as a patriotic symbol. Through songs and poems, postcards and paintings, the author shows how the elephants became gods and Republicans, turned pink and white, came to symbolize luck and longevity--and captured the human imagination. Illustrations. 80 pgs. Factual story of the fugitive odyssey of Murray Hill and his elephants. The story of why he gave up family, home, and security to go to extraordinary lengths to fight the system and protect the gentle creatures he's devoted to. 8 pages of photographs. 318 pgs. 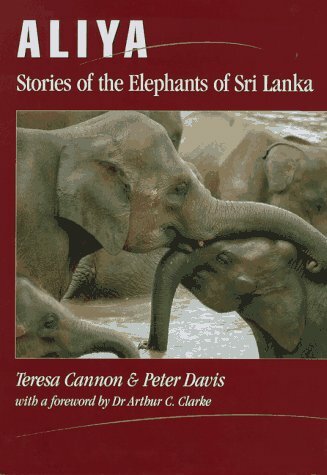 Accurate accounts of behavior, sexual life, training, capture of wild elephants, training, medicine, & a chapter on the white elephant. Written by a retired Burmese forester with many years of experience. B/W photos, illustrations, graphs. 162 pgs. A true story of a remarkable friendship. 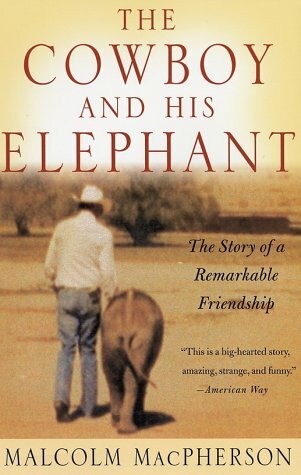 In the late 1980's an orphaned elephant came into the life of Bob Norris, the Marlboro Man. The accomplished horseman gradually coaxed the young elephant into overcoming her mistrust of humans and her fear of the world. She became a beloved member of the Norris family and a partner to the ranch hands. 240 pgs. In January 1990, Amboseli Elephant Research Project founder Cynthia Moss and wildlife photographer Martyn Colbeck set out to record 18 months in the life of one elephant family in Amboseli National Park, Kenya. 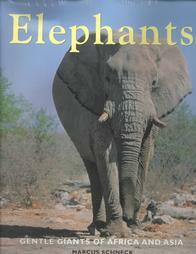 This book describes their findings while offering, in words and pictures, fascinating insights into elephant behavior. 70 full-color photos. 192 pgs. 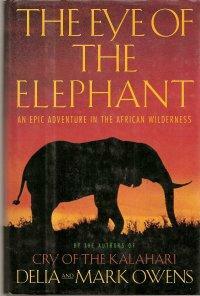 Story of the African elephant and the people who control its future. Thirteen years in the life of an elephant family in the Amboseli National Park in Kenya. 336 pgs. 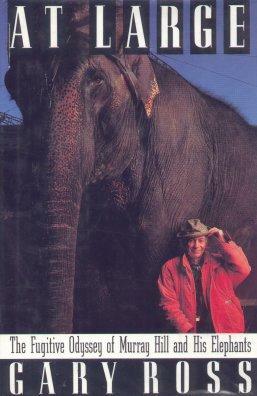 True story of a man & an elephant (Maharajah) who walked through England in the 1800's. 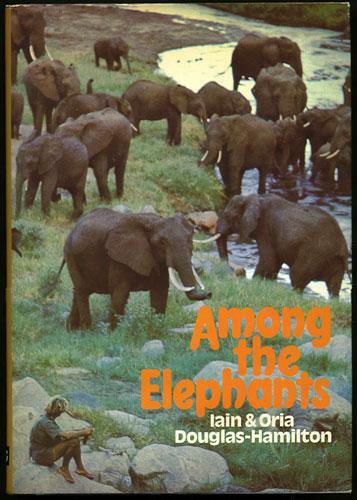 Information on the African elephant, Asian elephant, hippo, giraffe, rhino, big birds, and giant reptiles. Based on the television series, Wild Wild World Of Animals. Color photos. 128 pgs. Species, feeding & breeding practices of Indian & African elephants. 80 pgs. Outstanding color photos by some of the finest and most daring photographers introduce the reader to the nature, history, habitats, and various traits of some of the world's most fascinating wild creatures. The complex social rituals, physical characteristics of the subspecies, and details of each animal's daily existence provide an absorbing commentary awesomely illustrated. 144 pgs. Taxonomy, morphology, physiology, longevity, ecology, diet, feeding behavior, reproduction, behavior, elephants & man, general guidance on health & welfare in captivity, the captive environment, feeding & nutrition, captive breeding, population management, handling & training, staff training, use of chains or shackles, voice control, use of ankus or hook, transportation, medical management, Color photos, graphs. 163 pgs. African Elephants, Full Analysis of the Anatomy, Life Cycle, Habitat, senses and extraordinary Inteligence of the Largest Animal on Land. After being expelled from Botswana for writing their controversial bestseller Cry of the Kalahari, Mark and Delia Owens set off on a journey across Africa, searching for a new Eden. They found it in Zambia, but elephant poachers soon had them fighting for their lives when they tried to stop the slaughter. 16 pages of photos, half in color. 305 pgs.